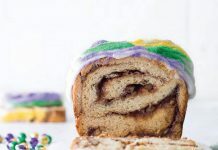 Tarte à la Bouille is one of the most classic Cajun desserts, though it only rarely shows up on restaurant menus. Many folks from Acadiana have special memories—and very strong feelings—about their mamere’s tartes and how they should be made. 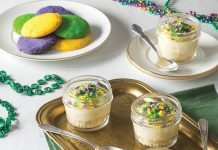 Some cooks use a traditional custard, but others thicken the filling with cornstarch (like famed Cajun chef and entertainer Alzina Toups from Galliano). Here, we used a combination of the two methods, and kicked it up a bit with ginger and orange zest. In a medium saucepan, whisk together milk, heavy cream, cornstarch, 3 tablespoons sugar, and ⅛ teaspoon salt. Bring to a low boil over medium heat, whisking frequently. Line a rimmed baking sheet with plastic wrap. In a small bowl, whisk together 1 teaspoon zest, ½ teaspoon ginger, and egg yolks. Gradually add ⅓ cup hot milk mixture to egg mixture, whisking constantly. Whisk egg mixture into remaining hot milk mixture in saucepan. Cook over medium heat, whisking constantly, until thickened. Remove from heat; whisk in softened butter and orange liqueur. Spread onto prepared baking sheet, and cover with plastic wrap, pressing wrap directly onto surface to prevent a skin from forming. Let stand until room temperature. Lightly spray 12 (3½-inch) tartlet pans with baking spray with flour. Place pans on a rimmed baking sheet. 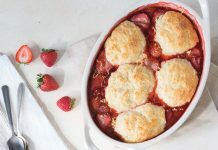 In the work bowl of a food processor, combine flour, confectioners’ sugar, remaining ½ cup granulated sugar, remaining ½ teaspoon zest, remaining ½ teaspoon salt, and remaining ¼ teaspoon ginger, pulsing to blend. Add cold butter, pulsing until it resembles peas. Add 1 tablespoon cold water and juice, pulsing until a dough forms. Turn dough out onto a lightly floured surface, divide in half, and shape into disks. Wrap each disk in plastic wrap, and refrigerate for at least 30 minutes. Unwrap and place dough on a lightly floured surface. Using a rolling pin, roll dough to a ½-inch thickness. Using a 4-inch round cutter, cut 6 rounds from dough, rerolling scraps once. Repeat with remaining dough. Being careful not to stretch dough, center a dough piece atop each prepared tartlet pan. Lightly press dough into bottoms of tartlet pans, and stand dough up against sides of pans. Using a rolling pin, roll over tops of tartlet pans to trim excess dough. Using a large end of a chopstick, press dough into indentations in sides of tartlet pans. Repeat this process with remaining dough pieces. Freeze dough for 15 minutes. Place a small piece of parchment over each tartlet and fill with pie weights. Bake for 10 minutes. Carefully remove pie weights and parchment. Bake until lightly golden brown, about 15 minutes. Let cool completely before carefully removing tartlet shells from pans. Use immediately, or store at room temperature in an airtight container for up to a day. 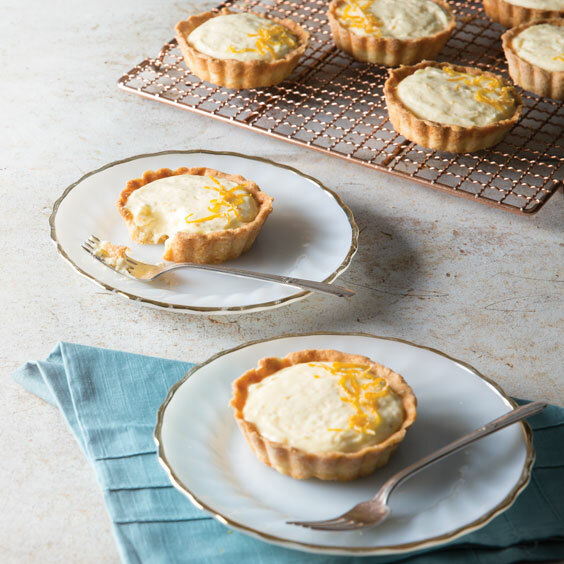 Spoon custard into tart shells. Use a knife or small offset spatula to smooth the custard. Top with candied orange zest.